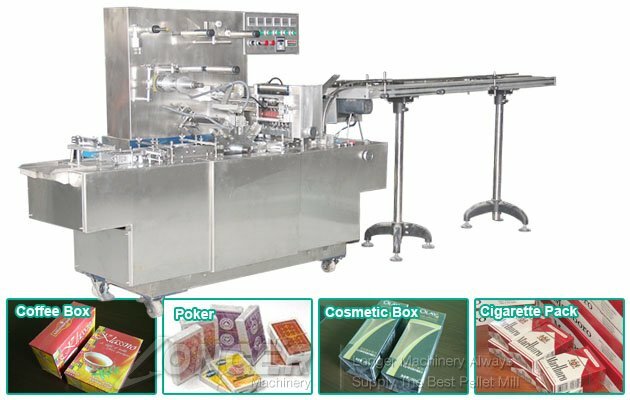 The machine is mainly applied to the external packaging of square boxed articles in tobacco, medicine, food, health products, cosmetics, audio-visual products and other industries. 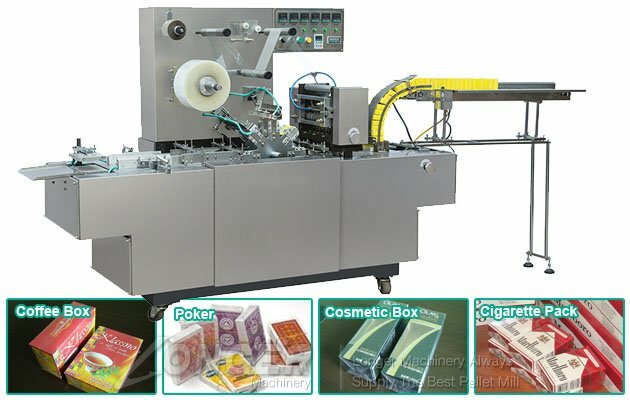 Such as medicine boxes, chewing gum, health products, tea, sugar, condoms, rubber, mosquito coils, cigarettes, tapes, VCD (CD) discs, playing cards, transparent soaps, square batteries, floppy disks, etc., play a role in anti-counterfeiting and moisture protection. And improve product quality, increase product added value. 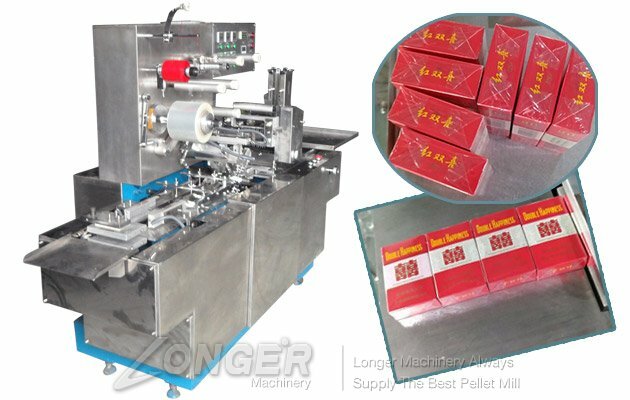 This machine can be linked with cartoning machine for packing production. 6. 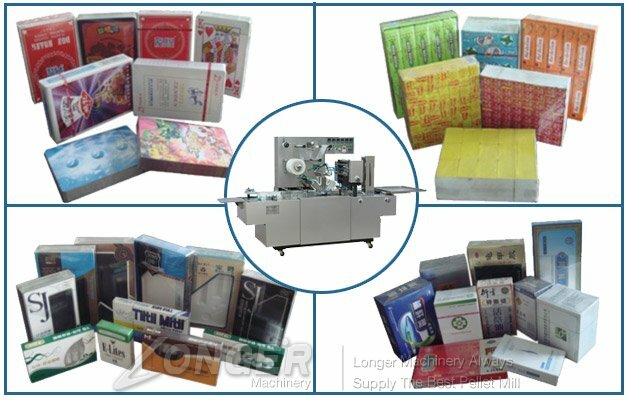 This cellophane overwrapping machine is equipped with film sending clutch, without wasting packing materials. With the rack feeding system, the rear section can be connected with a thermo-compression machine, and the entire row of collectors can save labor and increase productivity. 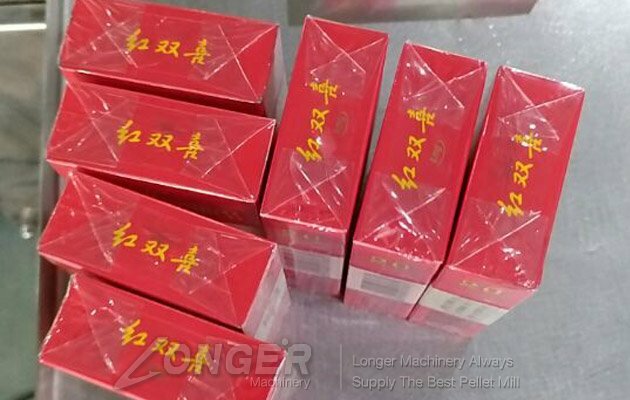 The machine adopts mechanical transmission system, which is accurate in packaging and high in efficiency. Packaging material: Use cellophane, KOP, BOPP (OPP) or heat seal paper film.